Following a preliminary or detailed risk assessment it may be necessary to implement further UXO risk mitigation to reduce the UXO risk to an acceptable level. Fellows work diligently with our clients to recommend and implement the safest and most cost effective risk mitigation procedures. There are a number of ways risk mitigation can be achieved depending on the specific risk identified, the client Scope Of Works (SOW) and the recommendations made in the Detailed UXO Risk Assessment. Munitions Awareness Briefing(s) – Fellows can provide a simple briefing for construction site staff of all levels on the UXO threat. The briefing will be tailored to the specific site and the threat posed in that area and includes topics such as; ‘what to look out for’ and ‘what to do if you find something’. Non-intrusive survey – This may be the most cost-effective solution in some cases, however this approach is often not suitable for brown field sites or areas where there is a high level of metallic contamination in the ground. Fellows will work with the customer to identify the most appropriate, cost effective survey method. For larger sites such as old airfields, Fellows can conduct motorised surveys using Quad Bikes adapted to conduct UXO surveys. Intrusive Survey – There are a number of different ways to approach intrusive survey. Fellows will work with the client to ensure the most appropriate, cost effective approach is taken forward. Cone Penetration Testing (CPT) is the most frequently used method to detect large buried items such as unexploded aerial bombs. This is particularly pertinent to sites where the client SOW includes the emplacement of sheet or static piling. Fellows also offer an intrusive survey service to ensure the safety of operatives during intrusive Ground or Site Investigation works. We can offer a range of procedures designed to locate buried items which may be munitions to support Bore Holing, Window Sampling or Trial pitting. UXO Banksman (Watching Brief) – Where intrusive or non-intrusive survey processes are not appropriate or the Scope of Works involves excavations only, Fellows will provide a dedicated UXO Engineer on site, to advise and assist site personnel as they proceed with the development. This may involve giving toolbox talks, surveying small areas prior to excavation, advising plant operators and crucially, being on-site to offer professional UXO advice and assistance should an item of potential UXO be found. Fellows are used to supplying UXO Banksman to sites on long-term basis at competitive rates. Bespoke UXO Risk Management – We will work with our client to identify any changes to the proposed development and/or construction methodology that could reduce the likelihood of a UXO encounter. 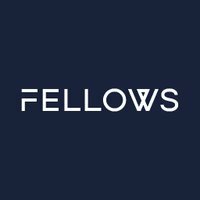 Fellows will produce all the necessary Risk Assessments and Method Statements (RAMS) and will provide a detailed report on conclusion of any risk mitigation work. This ensures that the customer has a robust QA/QC trail and can ensure all appropriate precautions have been observed and has a detailed record of any residual risk that may remain. Yes, I would like to receive marketing communications regarding Fellows products, services and events. I can unsubscribe at a later time.